FUKUI - The Japan Atomic Energy Agency started work on the removal of nuclear fuel assemblies Thursday at its Monju prototype fast-breeder reactor in Tsuruga, Fukui Prefecture. In the first stage of the 30-year project to decommission the reactor, the agency plans to relocate a total of 530 assemblies from both the reactor and a storage tank outside the reactor, both filled with sodium coolant, to a water pool by December 2022. But there is a lack of optimism among observers for a smooth fuel transfer, as sodium violently reacts with water and oxygen. They additionally point out that the JAEA lacks sufficient know-how for the operation. The removal work started with the storage tank. At 10:30 a.m., an operator switched on a fully automated system to take out an assembly. The agency aims to relocate one assembly per day from the tank and a total of 100 by the end of the year. It also plans to withdraw some 760 tons of untainted sodium from the so-called secondary cooling system by the end of the year. 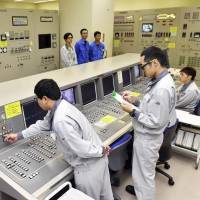 Fuel transfer work at the reactor is scheduled to start in July next year. 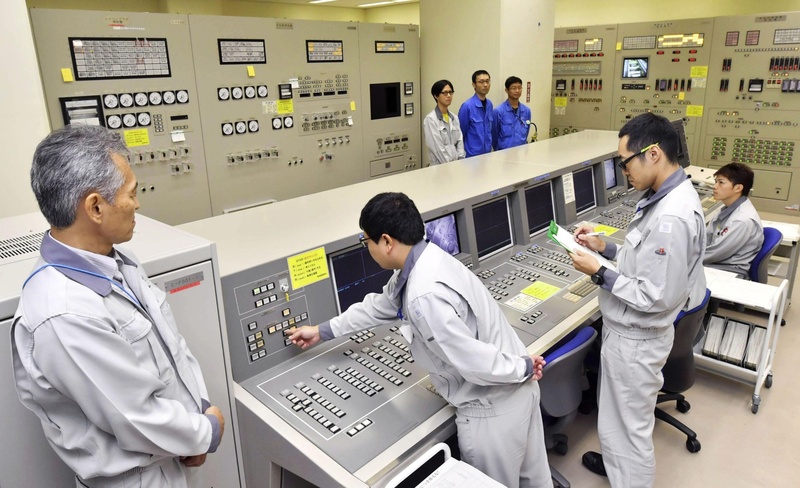 In 1994, the Monju reactor reached criticality — a self-sustained nuclear chain reaction — for the first time. But its operation was halted after a sodium leak the following year. The experimental reactor was restarted in 2010, but it faced a series of accidents and problems, such as the dropping of a fuel exchanger. The government officially decided in 2016 to decommission the reactor. In March this year, the Nuclear Regulation Authority approved the JAEA’s decommissioning plans. The JAEA initially planned to start removing the fuel assemblies late last month, but postponed operations to this month in the wake of a series of problems during final equipment tests. Even during a final exercise from Aug. 19 to prepare for the fuel removal, the agency was forced to halt the drill on the first day when an alarm went off.